Mr. bookbabie went to the Detroit Belle Isle Grand Prix this weekend with his friend Mr. Moonflower (a.k.a. Joe). They had a great time and Mr. B took lots of cool photos and even had himself a paparazzi moment when he snapped a photo of the lovely Ashely Judd strolling towards the pits to cheer on her handsome husband, Dario Franchitti. 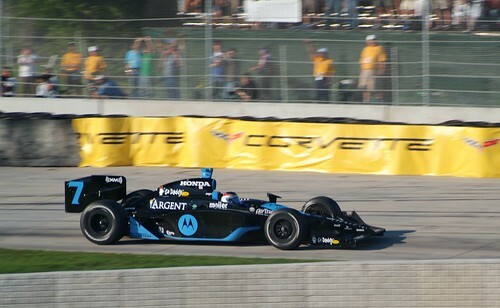 Tony Kanaan won the race and Danica Patrick (above) came in second after Buddy Rice ran out of fuel causing a crash that took out Scott Dixon and Franchitti. 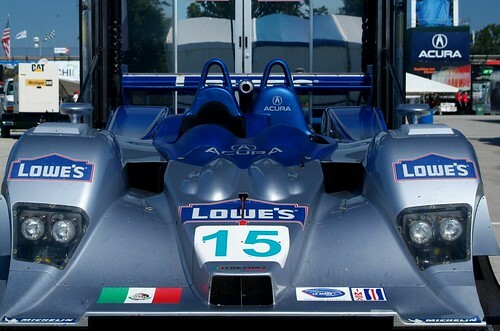 Car driven by the Lowes Fernandez racing team. Mr. Moonflower checking out a car. 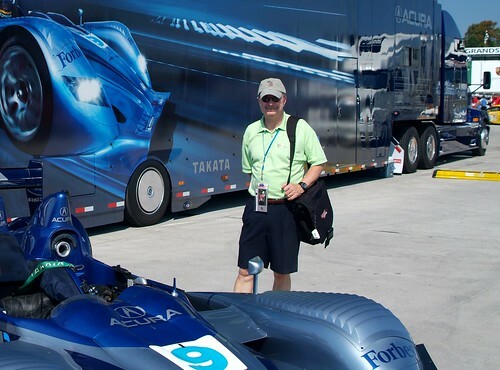 This entry was posted in photos and tagged ashley judd, grand prix, my life, photos by Lilli Day aka bookbabie. Bookmark the permalink. Ms Judd is almost as hot as the Fernandez Acura. Great pix!